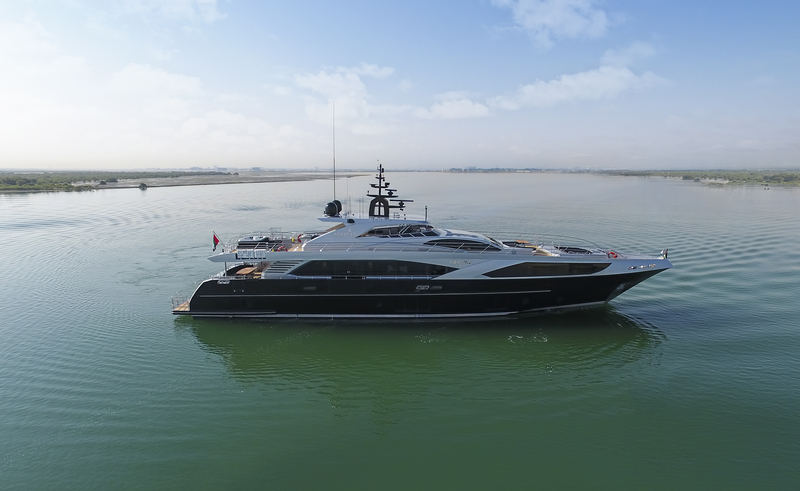 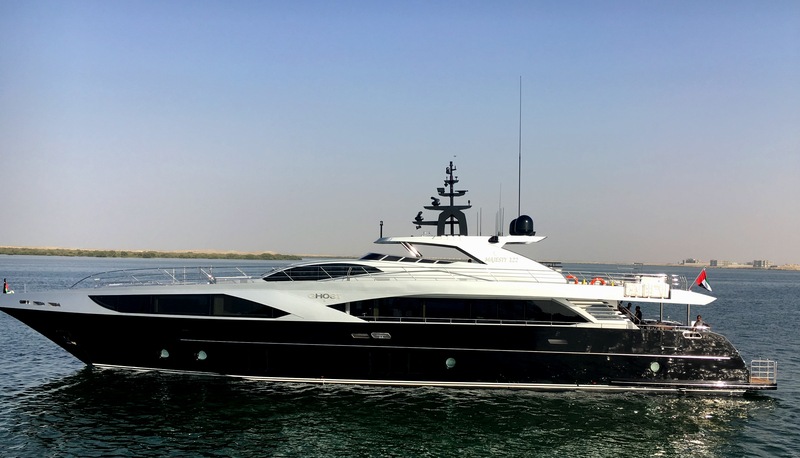 A sistership to the 2010 charter yacht Grenadines III, the second Majesty 125 motor yacht Marina Wonder has been successfully launched by the respected UAE-based builder Gulf Craft. 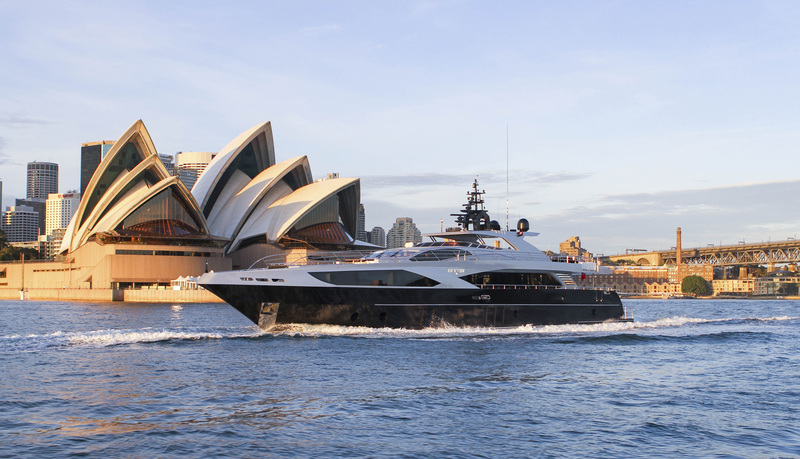 On display at the upcoming Monaco Yacht Show, the Marina Wonder superyacht features a striking exterior profile with a snow-white superstructure, prairie beige hull and a sky-blue fender line. 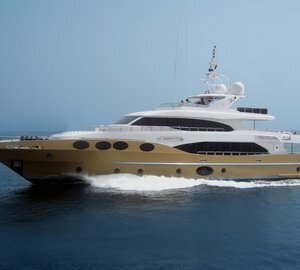 The total number of 10 guests are welcome aboard the Majesty 125 superyacht Marina Wonder. 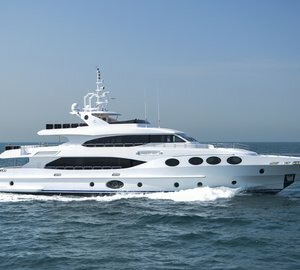 She offers 5 beautiful and comfortable staterooms. 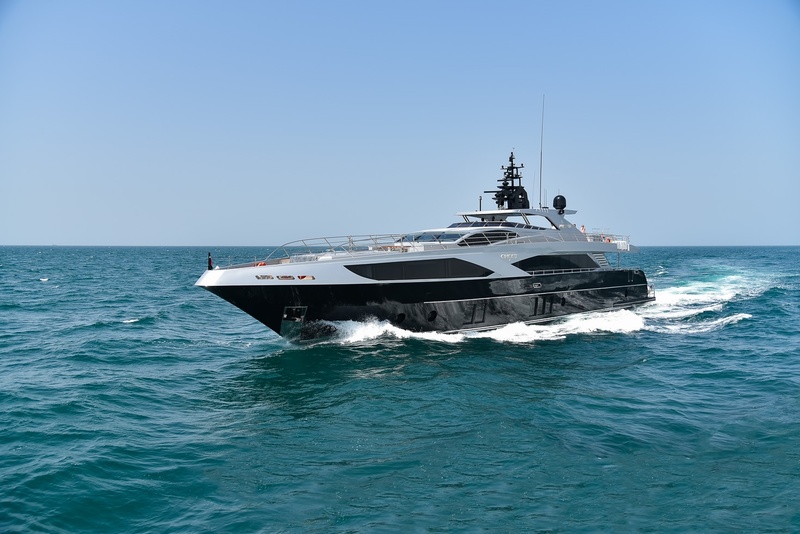 Fitted with the en suite Spa Pool tub as well as luxurious soft furnishings and woolen carpets, there is an Owner’s Suite on the main deck, providing magnificent ocean views. 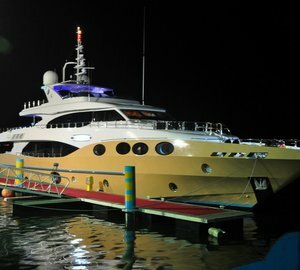 Marina Wonder is managed by a friendly crew of 6. 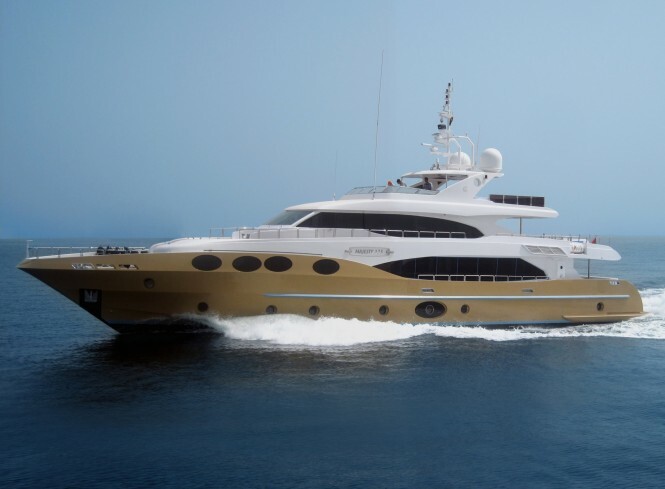 Gulf Craft’s luxury yacht Marina Wonder stores two yacht tenders in the aft garage and is fitted with high-end appliances by De Dietrich and Miele, high quality fittings, motorised curtains as well as the fully integrated centralised audio visual system with Kaleidescape video servers. 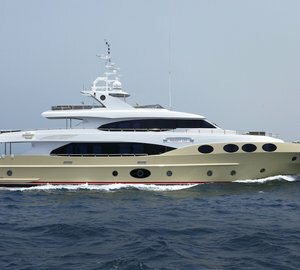 Below is a selection of the spectacular charter yachts by the prestigious Middle-Eastern builder Gulf Craft. 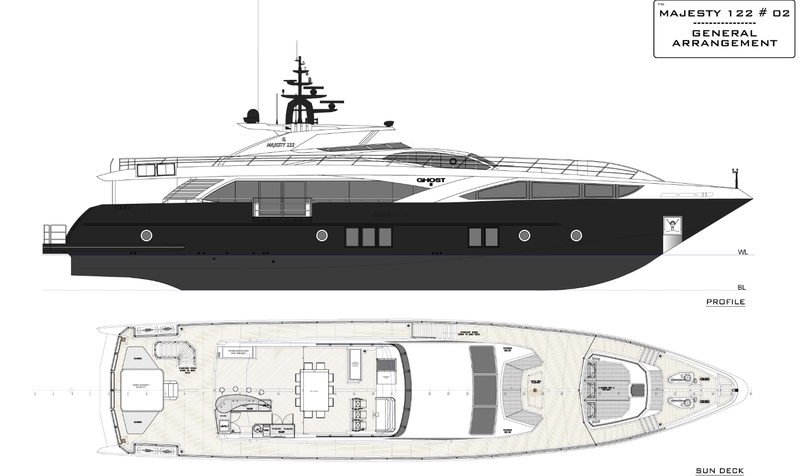 Please contact CharterWorld - the luxury yacht charter specialist - for more on superyacht news item "Gulf Craft launches the second Majesty 125 motor yacht MARINA WONDER".